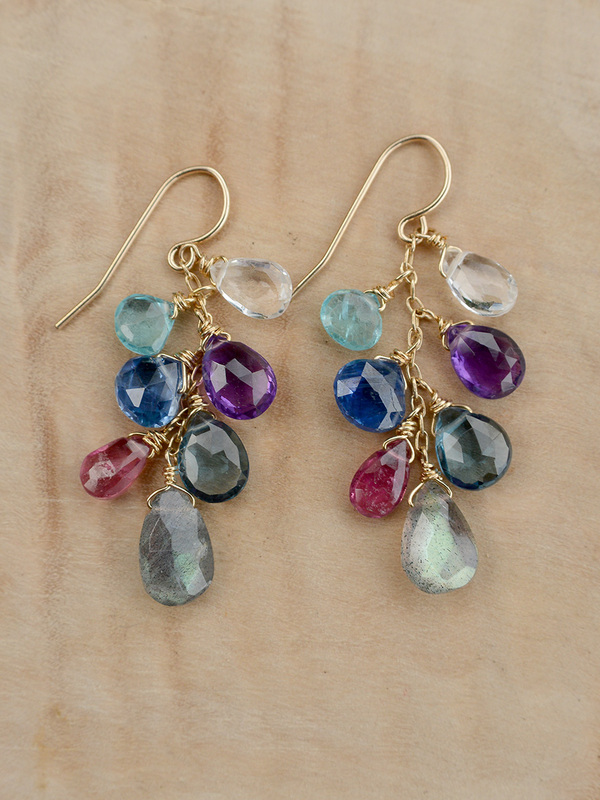 An easy everyday staple– wear it to work, meet friends for coffee or add a little color and sparkle to an evening out. 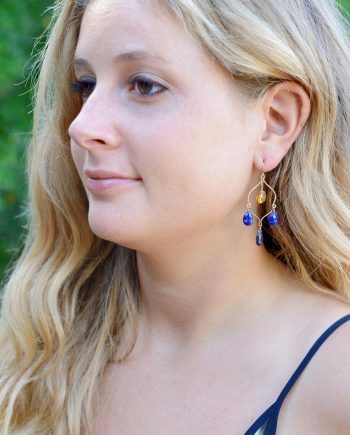 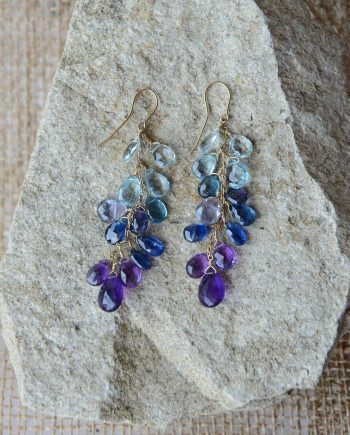 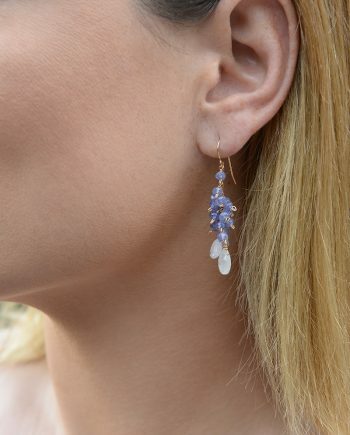 A little twist on your favorite little blue earrings! 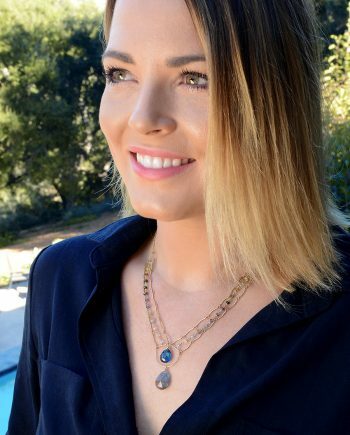 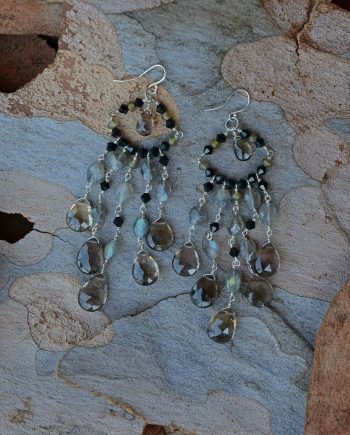 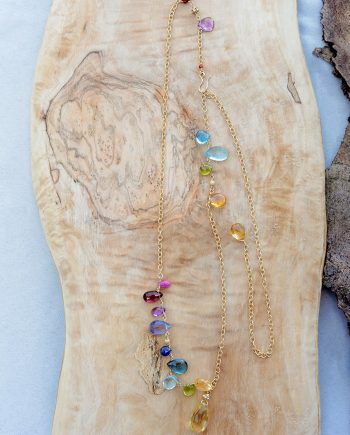 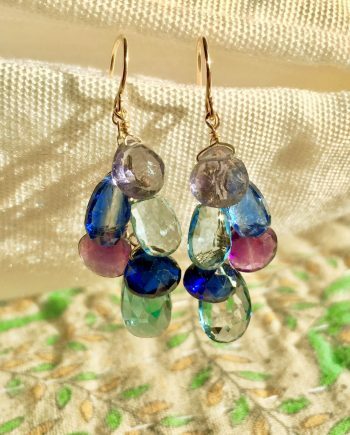 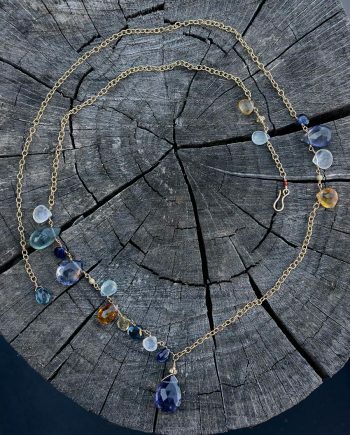 White Topaz, Apatite, Amethyst, Kyanite, London Topaz, Pink Tourmaline and Labradorite cluster up and dangle so effortlessly.